I’ve been a big fan of Revlon for quite some time now. Especially their lip products. I’ve been reigning in the shopping and beauty spending lately, but last weekend I wandered into Shoppers and bought two more Revlon Colourburst Matte Balm’s to accompany the one I already had. And BOY was I impressed. As usual I just haphazardly picked two colours that I thought might be good and I can’t get over how much I love them. I’ve decided that I MUST go buy the rest of the collection asap. The Colourburst Matte Balm’s are similar in packaging style to the Revlon lip stains and other lip pencils. They slide on very smoothly and just glossy enough to blend with your lips together before they take on their velvety matte appearance. I’m a big lover of matte lips and these certainly don’t disappoint. They aren’t too vibrant, but are the perfect amount of subtle colour for daily and for night. And they are so comfortable on your lips, hence the ‘balm’. They have an amazing formula of shea, coconut and mango butter. I can’t wait to get my hands on the rest of them!!! 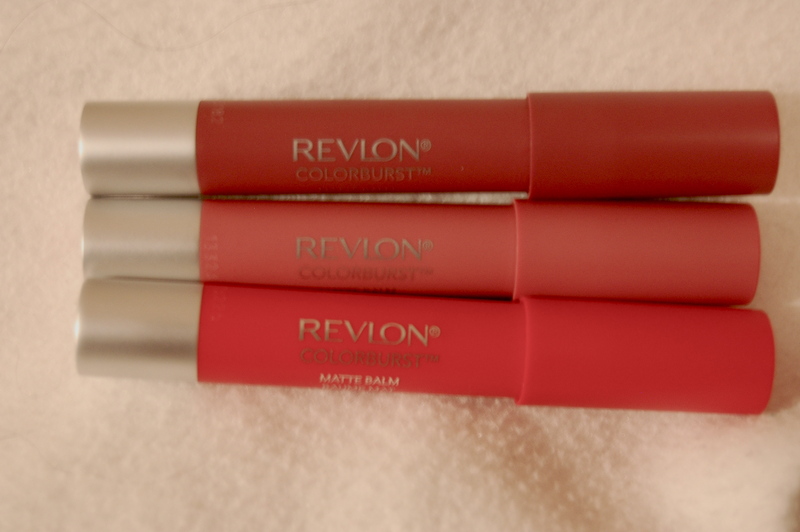 Have you tried the Revlon Colourburst Matte Balms? What did you think? Love them! Perfectly smooth and great pigmentation!